Hibiscus is a popular sight in a tropical flower garden. The use of these tropical flowers can be very versatile when landscaping any garden. They can be used as a focal point in any flower pot or as a back drop of a tropical scene. Depending on growing conditions, these tropical plants may be displayed as trees or shrubs. The leaves of Hibiscus are dark green and can really stand out when matched with lighter colored tropical plants. The tropical Hibiscus has enormous blooms measuring up to 6 inches in diameter. The flowers come in an endless amount of colors from solids to blends. You may also see flowers that will droop down to the ground. Hibiscus shrubs in a tropical garden will appear as a hedge. You can keep this tropical plants as a low bushy hedge or taller hedges, depends on personal preference. I keep mine low due to the tropical plants around them. Hibiscus trees can either be really full at the top or have long wispy branches. My favorite one is weeping Hibisucs tree!! I just love how it contains these long wispy branches and at the very end is a pop of color. Reminds me of some type of fairy tale movie. The final step of growing these tropical flowers is enjoying their exquisiteness. Do you love Hibiscus plants, but you live in colder climates that won't be suitable to growing them? I have an answer for you. 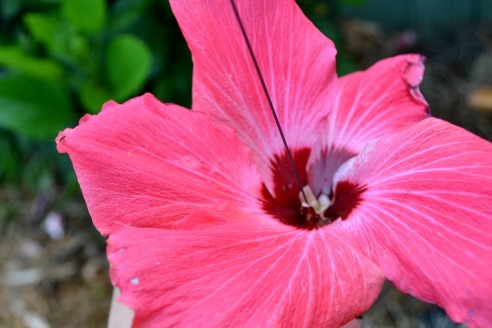 These plants have two varieties: tropical hibiscus and hardy hibiscus. As most of you know the Tropical Hibiscus survive in the tropics were temperatures do not freeze (zones 9-11). Hardy Hibiscus can survive in colder climates (zones 5 to 8). Some of these species require freezing to release the new growth. Not only are tropical Hibiscus beautiful in appearance, but they also attract some remarkable animals. 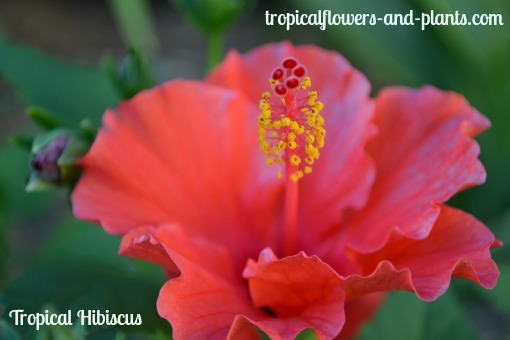 You might find that your Hibiscus flower will attract Hummingbirds. Hummingbirds will take the sweet nectar from underneath closer to the base. It’s not the flowers sweet smell that draws them in as much as their bright vivid colors. You might also notice that Butterflies have a fondness to these large blooms. 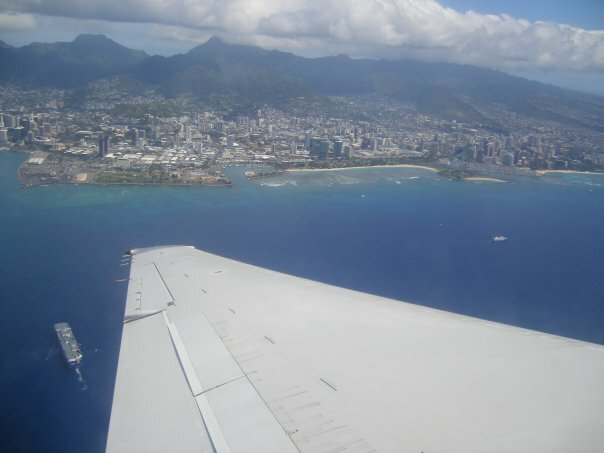 Plan on taking a trip to the Hawaiian Islands? If so, you will probably see plenty of tropical leis made from these large blooms. Hibiscus leis are fun and easy to make and are given at celebrations and ceremonies. 12 inch needle piercing center of Tropical Hibiscus to create a Hawaiian Hibiscus Lei. Tropical Hibiscus is not only used for landscaping and decoration, it can also provide health benefits for humans in the form of Hibiscus tea. Studies have revealed that drinking as little as 2-3 cups of hibiscus tea can decrease blood pressure. Leave me any questions and comments in the box below. Copyright Tropical Flowers and Plants - 2016 - . All rights reserved.